The holidays are in full swing and your children may already be receiving gifts from friends and family. Some toys may seem harmless but every year many children are injured by their favorite toys. You should be diligent about inspecting your child’s toys and adhere to all age suggestions listed on the packaging. According to the U.S. Public Interest Research Group (PIRG), between 2009-2011, 1,700 children were admitted to the emergency room after ingesting magnets alone! These children were between the ages of 4 and 12, so it’s not just toddlers who we have to be concerned about. Some toys may not be right for all children. There are some toys you should stay away from when checking off your Christmas list. Make sure to share our tips with your friends and family so they can purchase safe toys too. 1. Read the label. Warning labels give important information about how to use a toy and what ages the toy is safe for. Be sure to show your child how to use the toy the right way. 2. Think LARGE. Make sure all toys and parts are larger than your child’s mouth to prevent choking. 3. Avoid toys that shoot objects into the air. They can cause serious eye injuries or choking. 4. For younger children, avoid play sets with small magnets and make sure batteries are secured within the toy. If magnets or batteries are ingested, serious injuries and/or death can occur. 5. Look for stuffed toys that are well made. Make sure all the parts are on tight and seams and edges are secure. It should also be machine washable. Take off any loose ribbons or strings to avoid strangulation. Avoid toys that have small bean-like pellets or stuffing that can cause choking or suffocation if swallowed. 6. Inspect toys for sturdiness. Your child’s toys should be durable, with no sharp edges or points. The toys should also withstand impact. 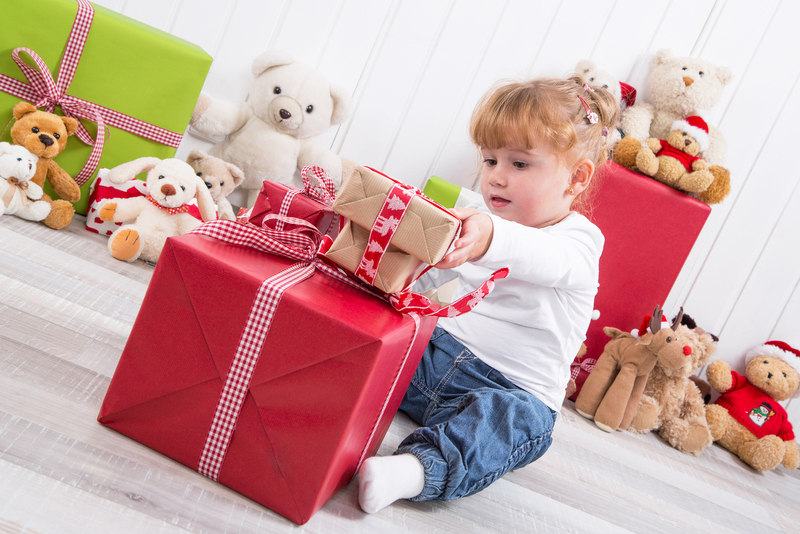 Dispose of plastic wrapping material immediately on toys as they may have sharp edges. 7. Inspect all toys before purchasing. Monitor toys that your child has received as gifts to make sure they are appropriate for your child’s age and developmental level. 9. Avoid hobby kits and chemistry sets for any child younger than 12 years. They can cause fires or explosions and may contain dangerous chemicals. Make sure your older child knows how to safely handle these kinds of toys. 10. Be careful when buying crib toys. Strings or wires that hang in a crib should be kept short to avoid strangulation. Crib toys should be removed as soon as your child can push up on his hands and knees.